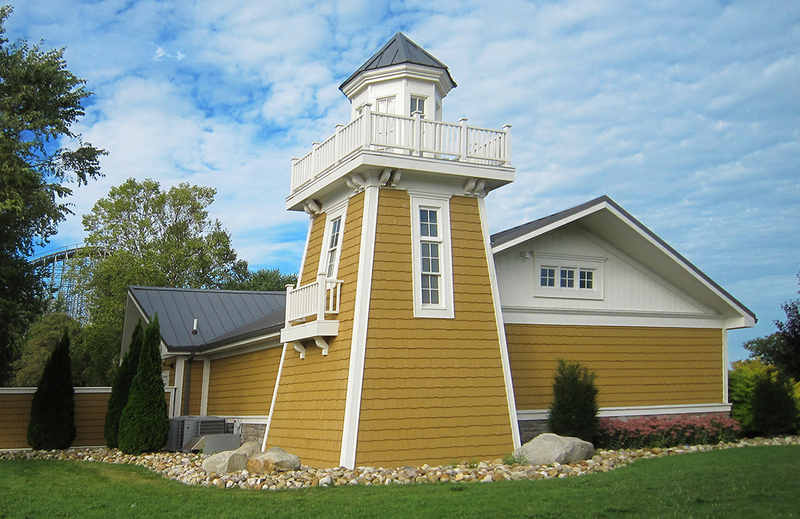 TRA helped Cedar Fair add a check-in and merchandise shop for the Lighthouse Campground which was new to the park for the spring of 2014 season. The design includes a lighthouse themed building incorporating a vaulted ceiling in the merchandise shop. This feature element is created by using heavy timber wood trusses and SIPS panels (structural insulated panels). It includes new technology for the check-in stations and allows for a much faster check in process for the guests.